Pete Hegseth “Fox and Friends” host told the audience on Feb. 10, 2019, that he has not washed his hands in ten years. Hegseth admitted this after co-hosts Jedediah Bila and Ed Henry questioned him regarding pizza he ate off-camera which was left out for a long time after National Pizza Day. Hegseth said that there was no problem because pizza lasts a long time. During the Sunday program, Hegseth said on air that one of his resolutions for 2019 is to repeat anything which he said not on air live on air. He told the audience that he had not washed his hands in 10 years. He also reported he inoculated himself, and germs are not real. Hegseth continued by saying since he can not see germs, they are not real. Bila looked incredulous and asked for help. She then said that her father has the same theory that one can become immune to germs. 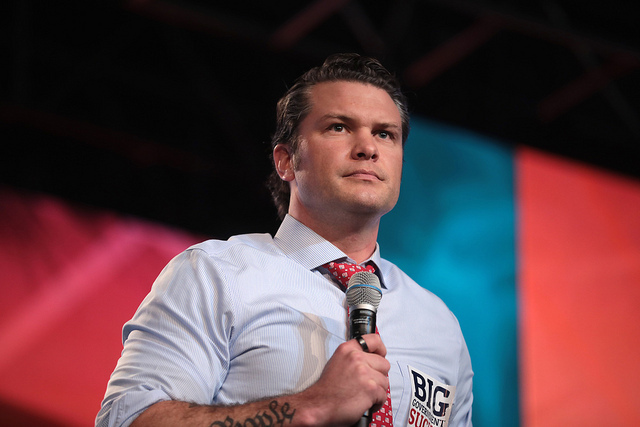 In 2018, Hegseth was being considered by Donald Trump to replace David Shulkin as the secretary of Veterans Affairs, as reported by the Hill. The Centers for Disease Control and Prevention (CDC) states regular handwashing is essential to prevent the spread of disease. An individual washing their hands after using the bathroom can help prevent spreading E.coli and Salmonella which can present in human feces.